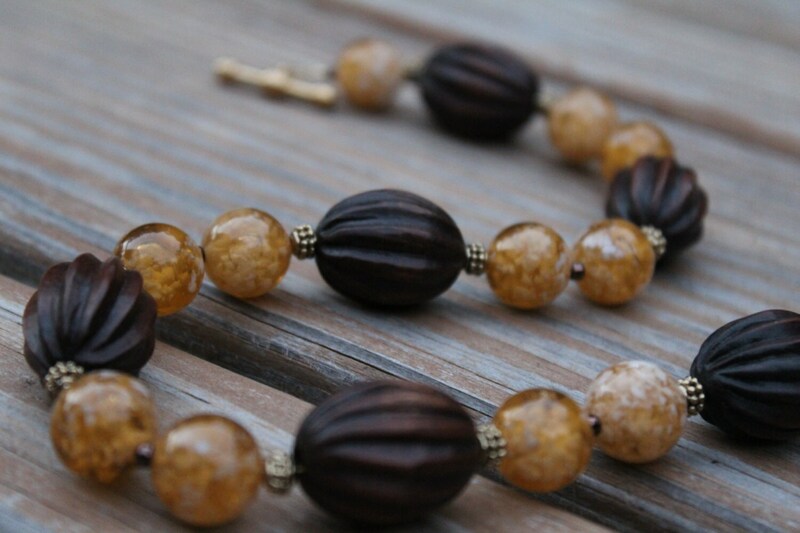 This beautiful, nature inspired, wood bead necklace is a must-have accessory! 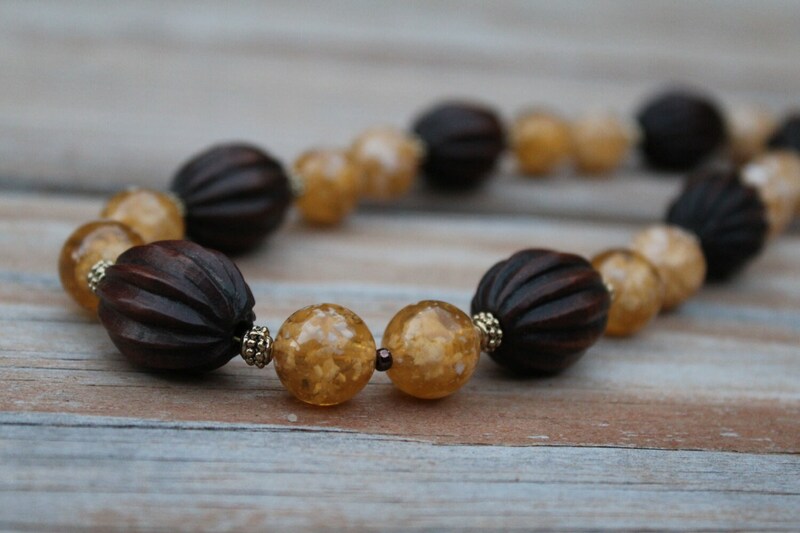 The yellow and brown beads offer wonderful contrast and the little gold tone spacers provide a little bit of shine against the rugged, detailed, carved wood beads. This necklace is approximately 18 inches long. 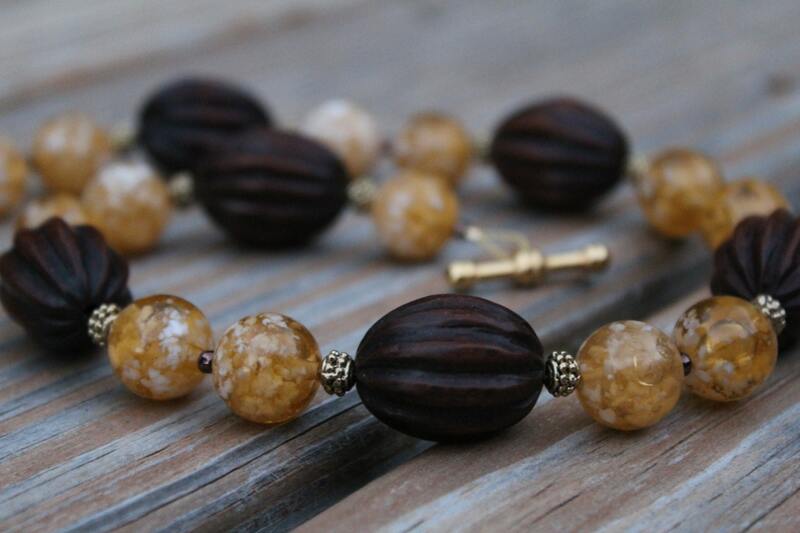 It has an easy to put on, sturdy toggle clasp you will appreciate! 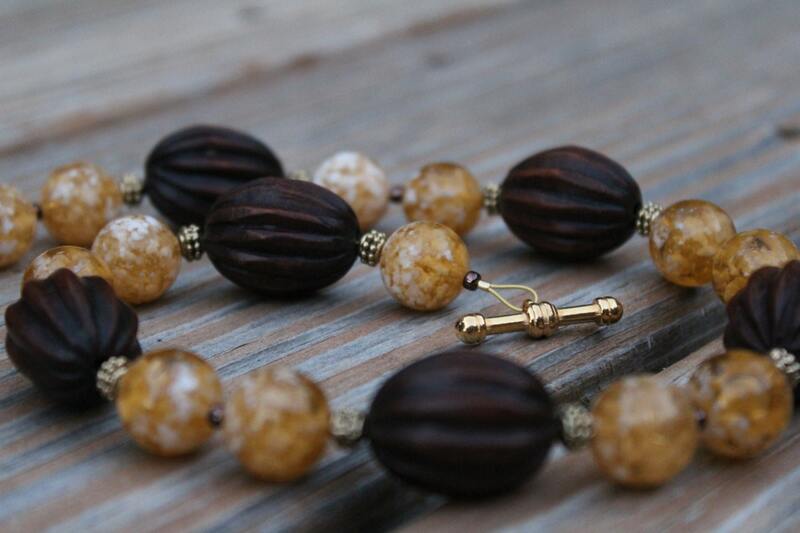 If you love wearing brown, earth tones, reds or turquoise...this is the piece for you! This necklace is an original design created and handmade by MichelesAManoDesigns.